Name A Star Live isn't just a star naming service: your stars help launch some of the most exciting missions of the modern space age. In 2009, your star names and dedications flew to space and back on board the Discovery Flight, launched on an UP Aerospace Spaceloft XL rocket from New Mexico's Spaceport America. Our Discovery Flight launch certificates, mission patches, and mission pins prove that you helped this mission possible. Mission Patches are a long-standing tradition among astronauts, cosmonauts, and key mission personnel. 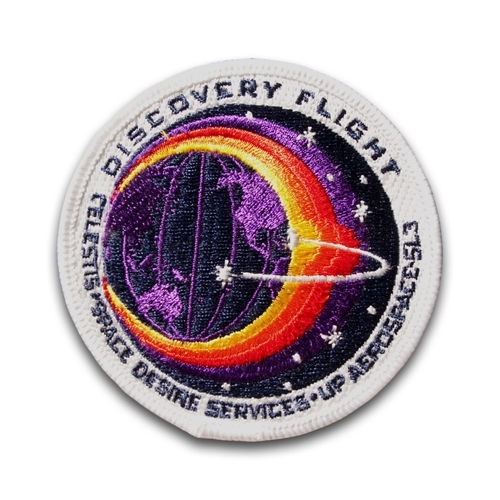 Now you can bring the tradition home with a Discovery Flight Mission Patch! Wear your Name A Star Live pride on your sleeve with an authentic Discovery Flight mission pin! This mission patch honors Name A Star Live's 2009 Discovery Flight, which launched your star names and dedications to space on board an UP Aerospace SpaceLoft XL from New Mexico's Spaceport America. 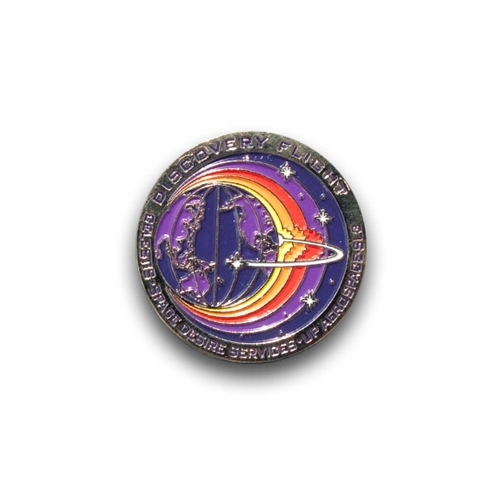 This mission pin honors Name A Star Live's 2009 Discovery Flight, which launched your star names and dedications to space on board an UP Aerospace SpaceLoft XL from New Mexico's Spaceport America.